In my soft more year my dad gave me a Retro1951 Tornado rollerball pen. This was an effort to improve my penmanship as well as teach me about professional/business life. Fast forward to 2014, and I thought I had lost the pen. Ironically, it was lost in the same place my dad lost his prized fountain pen. It slipped between a drawer. The ensuing panic of a lost pen meant urgent replacement. In searching for the same pen, I discovered the world of pen enthusiasm. The Retro1951 ranked high, but a new thing popped out. Fountain pens. Curious, I began to investigate and purchased a Pilot Varsity to try one out. I was paperless for about a year and a half. I argued against learning cursive in elementary school, stating quite clearly to my teacher than I’d be typing not writing college reports. Had I known about fountain pens back then, I’d work harder at cursive. My first experience was that amazing. Ballpoint pens aren’t that evil. 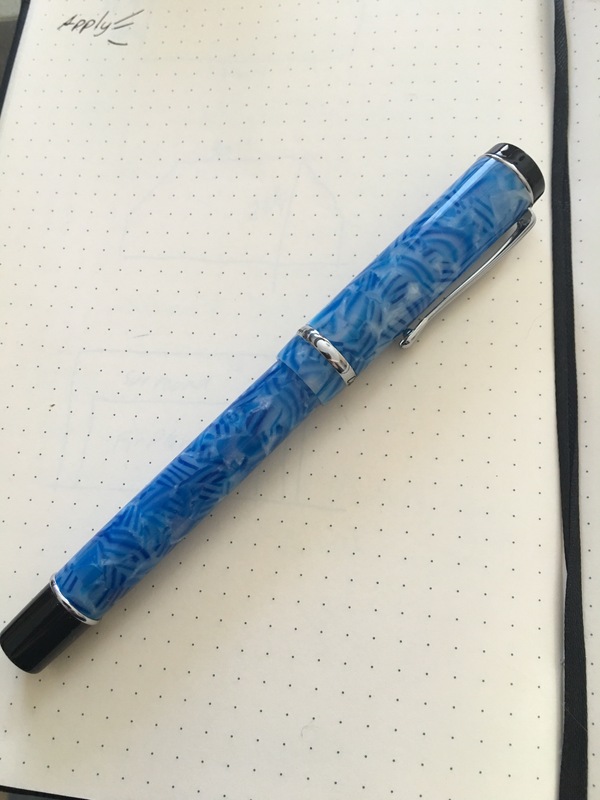 They were born out of wanting a cleaner writing experience, but they don’t have the same enjoying experience as a fountain pen. However, fountain pens take work to maintain and they can be messy. Ease of use is better with ballpoint pens, but actual writing experience is better with a fountain pen. Like many things in life, excellence has no easy way. I always liked to write. My handwriting was always poor. So, I ran to technology. In recent years the simplicity and slowness of writing on paper returned. A new hobby was born. I’m not anti-tech. I do think it’s nice to have a sweet experience for times I go unplugged.